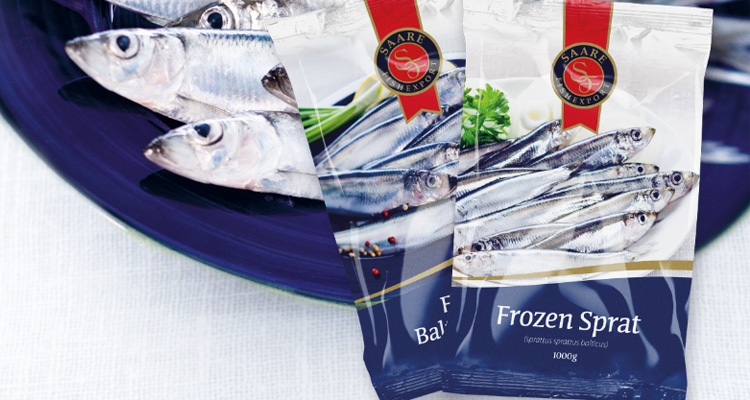 For more than 15 years Saare Fishexport has been offering high quality fish products to different markets. Investments into innovation and technology has been allowing us to develop and broaden our client base. We are in control of the whole chain – from catching to packing and delivering. Our company’s trawlers are catching Baltic Sprat and Baltic Herring mainly from the Baltic Sea, where all actions are controlled by EU. With European Maritime and Fisheries Fund’s measure 4.4.3 “Execution of energy and resource audit for fish catching and aquaculture companies” was compiled an energy and resource audit. Execution time: december 2018, subsidy amount: 4 000 EUR). With European Maritime and Fisheries Fund’s measure 2.3 “Investments into production and marketing” was bought new machinery for handling the fish, technological production line and warehouse forklift. Execution time: 01.04.2013 – 20.11.2014, subsidy amount: 249 720 EUR).